Picky Eater approved, these Organic Chicken Fingers by Hip Chick Farms are made with only USDA certified organic ingredients. 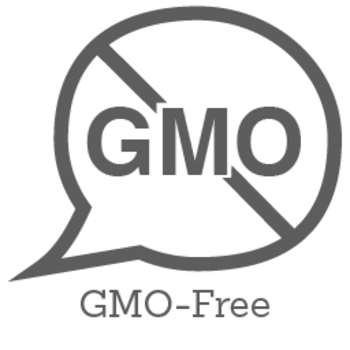 In addition, the free range chickens are fed an all vegetarian diet and contain no antibiotics or hormones. 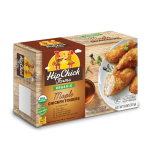 If you love chicken nuggets, then you’ll love these organic chicken fingers! 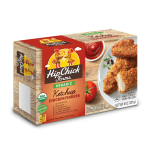 Hip Chick Farms’ line of artisan, transparently sourced, chef inspired frozen chicken and poultry products that are convenient for busy families. “Our chicken products contain no artificial ingredients; it’s like I’m in your kitchen, making it for you fresh,” says Chef Jen. Mix together all ingredients for dressing, set aside. Break up Ramen noodles by hand. Toast in oven until golden brown. Combine cabbage, green onions, carrots, cilantro, chicken, ramen and cashews into bowl. 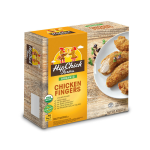 The best chicken finger brand I have had yet! Taste like real chicken and has genuine flavor. Love the crispiness and the juicy chicken. 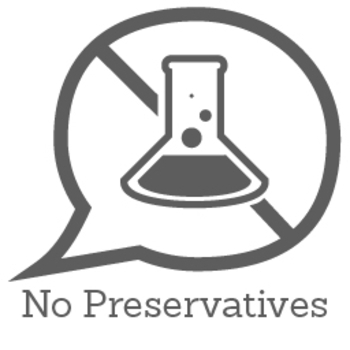 The best part is that it's organic and made with natural ingredients! The chicken fingers were delicious and juicy without the typically added preservatives. Another part of the chicken fingers that my family and I enjoyed were that they weren’t greasy and oily which is a common trait that most packaged chicken fingers tend to have. The quality of the product aligns to the price since both are higher than normal. 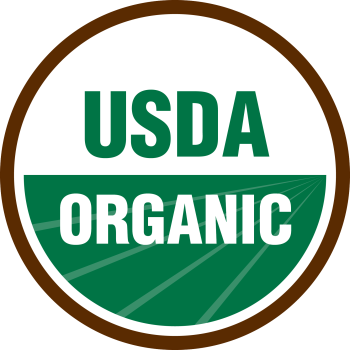 My daughter loves the taste and I love that they are organic and the ingredient list. They have now become Anatole in my freezer for when I need a quick meal for daughter.